The library is in the process of adding a new Robert Palmer Howard (1912-1990) fonds to the archives. This will mark the most recent update to our Howard family collection, which already includes archival materials on Howard’s grandfather and namesake, Robert Palmer Howard (1823-1889), as well as his father, Campbell Palmer Howard (1877-1936). Max Brödel, “The Saint”, 1896. 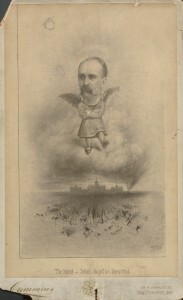 Artwork depicts William Osler’s head on an angel’s body over John Hopkin’s Hospital. 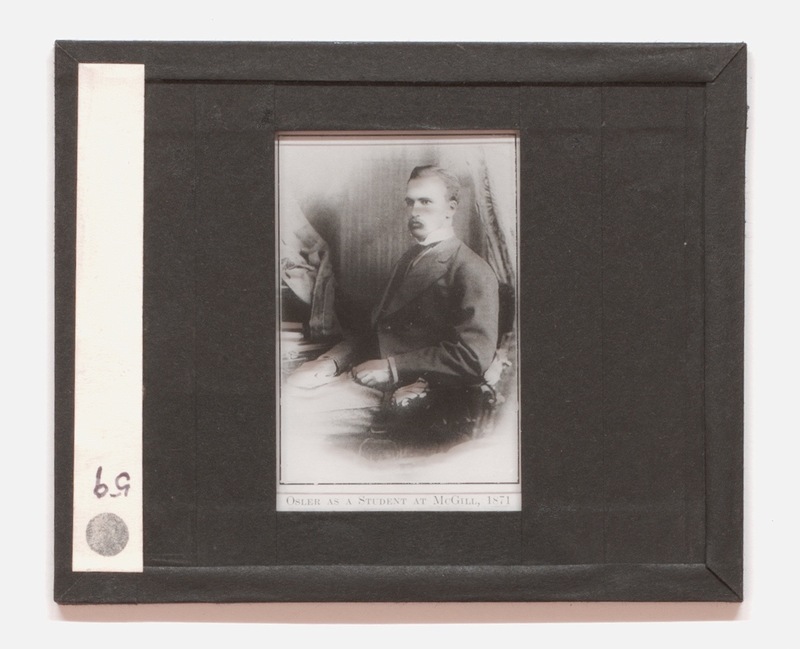 The new fonds consists of materials acquired and accumulated by Robert Palmer Howard including written correspondences between his father and close family friends such as Sir William Osler, Lady Grace Osler, and the Wright family. 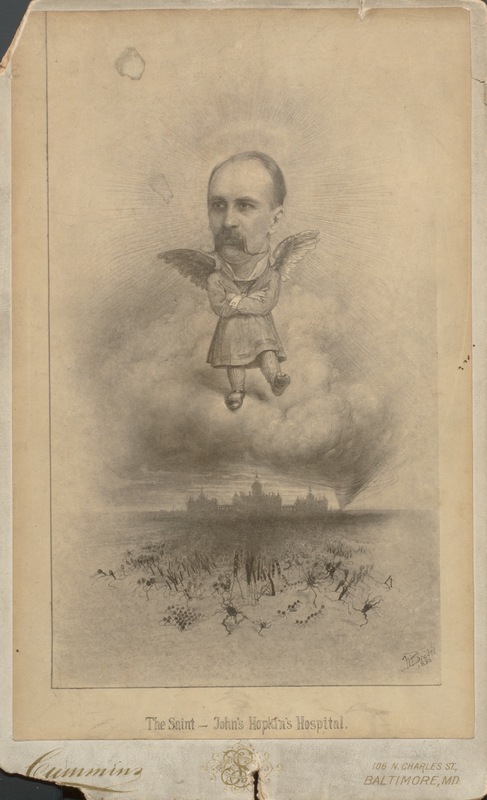 Also included are Osler family portraits, photographs of Osler at work, as well as a few drawings and sketches by Edward Revere (Osler’s son) and Max Brödel (the prominent medical illustrator who worked at John Hopkins School of Medicine). After receiving his medical degree from McGill University in 1932, R. P. Howard spent most of his career as a physician and researcher at the Oklahoma Medical Research Foundation, affiliated with the University of Oklahoma. He maintained a particular interest in the history of medicine throughout his career and later became the director of University of Oklahoma’s History of Medicine Program. Upon retirement, he moved to Iowa City, IA to become Director of the History of Medicine Society at the University of Iowa. As a medical historian and Oslerian, R. P. Howard held on to booklets, case studies, and pages of handwritten medical notes belonging to Sir William Osler, some of which are included in the new fonds. 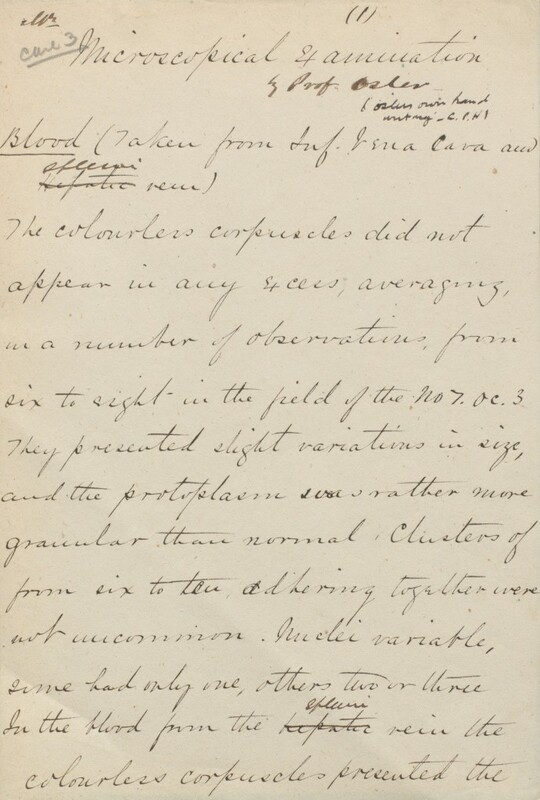 A page from William Osler’s medical notes, “Microscopical Examination”, 1875. R. P. Howard was also the author of The Chief: Doctor William Osler published by Science History Publications in 1983. The bibliographical work provides a detailed account of the close relationships and correspondences between the Osler and Howard families. Visit the catalogue for more information on this regular loan item. A special thank you to Caroline Howard Mast, daughter of Robert Palmer Howard, for generously donating the contents of this fonds to the Osler Library. 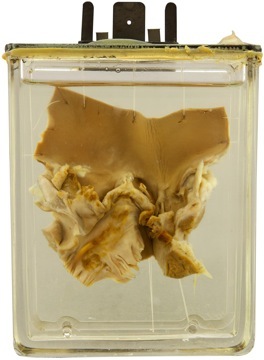 Osler specimen 23. Acute infectious endocarditis. Maude Abbott Medical Museum. The latest issue of the Osler Libary Newsletter can now be found in electronic form on our website. Articles from no. 118 include a look at the Iconographique photographique de la Salpetrière, an examination of Vesalius’ legacy and Osler’s medical humanism, a list of Canadians who graduated with an MD from the University of Edinburgh in the first half of the 19th century, a discussion of the early years of the Montreal Neurological Institute and its connection to the Neurological Institute in Breslau, a glimpse of McGill’s Maude Abbott Medical Museum, and more.